Teachers sometimes need a movie or other type of scientific show for their classes. 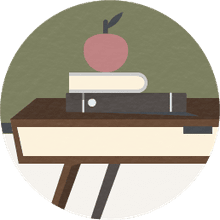 Whether it is used as a supplement for a topic the class is learning about or as a reward, or even as a lesson plan for a substitute teacher to follow, videos can be very helpful. In fact, some videos or shows that have a worksheet that accompanies them can be used as a type of assessment to let the teacher know how the students are grasping the information (and also whether or not they were paying attention during the video). The series Cosmos: A Spacetime Odyssey hosted by Neil deGrasse Tyson and produced by Seth MacFarlane is an incredible journey into some very important science topics. Episode 10, entitled "The Electric Boy," is a great account of the discovery of electricity and magnetism and how they work together. Any physics or physical science class learning about these topics would make a great audience for this particular episode. Feel free to copy-and-paste the questions below into a worksheet for the students to use as a viewing guide, after viewing quiz, or notetaking guide as they watch episode 10 of Cosmos. 1. What is the name of the man Neil deGrasse Tyson says that had he not lived, the world we know may not exist today? 2. Whose ancestral home does Neil deGrasse Tyson visit as he begins telling his story? 3. Who does the little boy in the animation with the compass grow up to be? 4. In what year was Michael Faraday born? 5. What problem with his speech did a young Michael Faraday have? 6. 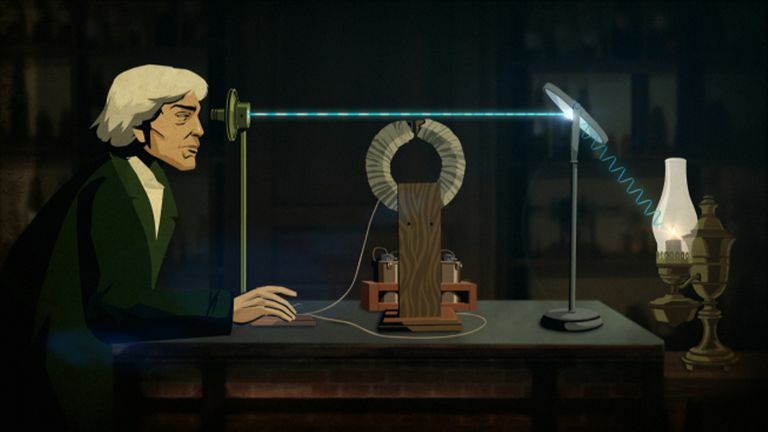 What does the teacher in the animation tell Michael Faraday’s brother to go and do? 7. Where did Michael Faraday begin working when he was 13 years old? 8. How did Michael Faraday gain the attention of Humphry Davy? 9. What happened to Humphry Davy when his experiment went terribly wrong? 10. Where did Michael Faraday call his lifelong home? 11. What did Humphry Davy notice about a wire will electricity running through it as he brought it near a compass? 12. What does Neil deGrasse Tyson say was all Michael Faraday needed to “start a revolution”? 13. What had Michael Faraday created when his wife’s brother flipped the switch for the electricity? 14. What was Humphry Davy’s next project for Michael Faraday and why did he give him that particular project? 15. What brought about the end to the fruitless project Michael Faraday had been stuck on for years? 16. Name three famous scientists who have participated in Faraday’s Annual Christmas Lectures. 17. What had Michael Faraday created when he moved a magnet in and out of a wire? 18. Michael Faraday believed in the “unity of nature.” What did he think could be related to electricity and magnetism? 19. How did the hunk of glass Michael Faraday kept from his failed experiments with lenses help him prove the unity of natural forces? 20. What problems was Michael Faraday having with his health? 21. What did Michael Faraday discover when he sprinkled iron filings around current carrying wires? 22. How do birds use the magnetic field of the Earth? 23. What creates the magnetic field that surrounds the Earth? 24. Why did Michael Faraday’s contemporaries in science not believe his hypothesis about field forces? 25. What mathematician helped prove Michael Faraday’s hypothesis about magnetic fields? 26. Why does Neil deGrasse Tyson not flinch when the heavy red ball comes swinging back at his face? 27. Instead of being static, Michael Faraday’s magnetic field lines turned out to be more like what?